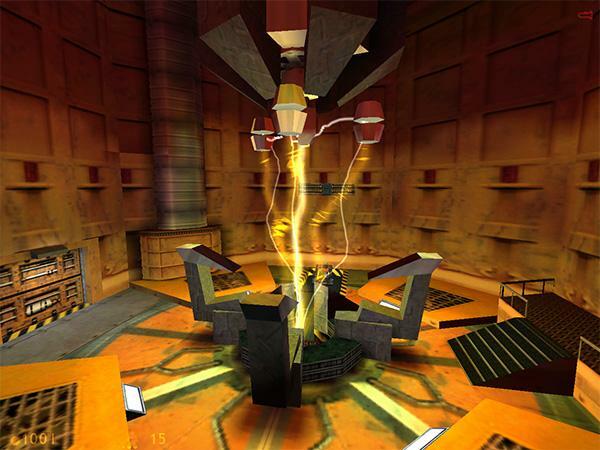 The final release of the Half-Life/GoldSrc SDK. It includes source code and development tools. Hard to believe this wasn't on ModDB until today. indeed, i think i have seen SDK for 2008 studio. by the way, soon will be released new engine. It will support ALL half-life content ( models, textures, maps, mods ) This engine is fully open source. It will bring Half-life mods to the next level. It only has the source code though. Got any more info (link to a site) for this new engine? Xash3D by UncleMike maybe, but beware - its not really legal. Yep, it's Xash3D, it's legal, just usage of HL resources is not legal, so if u want to release mod like indie game you must replace all HL stuff with your. I Need the 'Source Code' of TFC... you have this???? It isn't publicly available. There are bits of Team Fortress Classic code in the client project though (mostly VGUI stuff, also some macros). I'm pretty sure that the whole point of TFC was to demo the capabilities of the SDK. Surely there was source code. That was the point, yes, but the source code wasn't released. A lot of (maybe all of) its custom VGUI stuff is in the Half-Life SDK as it was new, but the rest of the code wasn't released, probably because the other features were already doable before the engine update that came with Team Fortress Classic. the editing programs don't work. They start and then close. How do I fix it? They require command line arguments to do things. Try running them through cmd.exe to see what arguments they take. If anyone is downloading the original Half-Life SDK and possesses any version of Visual C++ 2010, will not be able to open the project file(s) properly. The way to get it to run through Visual C++ 2010 (any version) is to at least download Visual C++ 2008 Express (or any other version will work if owned) and open it there. After converting it and saving it, then load it through Visual C++ 2010 (as stated, any version). Now convert it and y'all should be able to use the original SDK with no problem. Of course it would be easier to use the Visual C++ 2008 version provided on here, but makes for a handy learning experience. Edit: Oh yes, don't forget to make any changes when using the original. As stated of course, there is a provided Visual C++ 2008 edition that makes it easier. Well, the SDK by itself adds nothing to Half-Life, but if you modify the SDK, and then use some of the tools which come with it, you'll be able to create your own game (preferably mod) with the SDK. You can install it anywhere, and then you have to open the folder, which will contain most of the tools to get you started. But I'm new to modding and stuff. start out with something small, like the MAPEDIT for Blood, it runs on DOSBOX. That's an original idea! But if you plan to use sprites (or 2D textures) for the weapons and NPCs, then you'll have to edit the code a little bit. But if you choose to put 3D models into it you'll have to use a 3D modelling tool (like 3ds Max or Milkshape) to create the models. It depends on the approach. no its just the development kit. so what is this and what does it do? So how exactly would I run the editors in the cmd.exe? It seems to open a command program then close in a split second. Will this work with a specific C++ compiler, or I can use it with any C++ compiler? I just want to make sure that I get less errors that way. Also, I use Visual Studio 6.0 (the one from 1998). how do i can use this with visual studio?